Gone are the days when you have to call a number to check your voicemail or check your email for audio file attachments. Nobody has time for that! 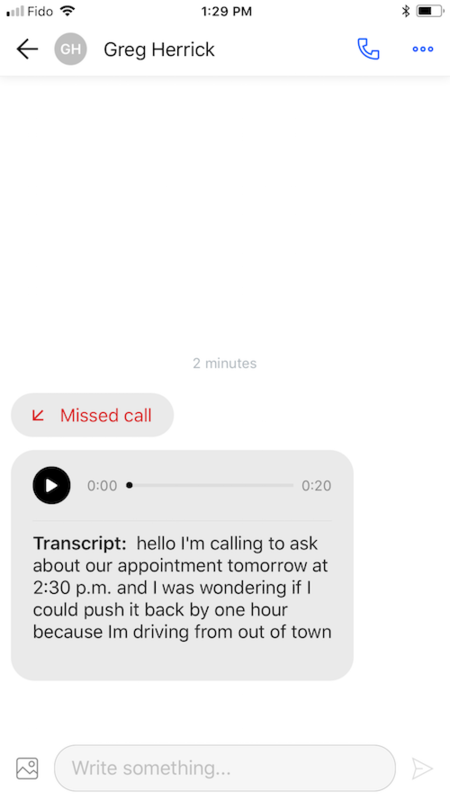 With OpenPhone, your voicemail comes to you in form of an audio file and a transcription. Share your voicemail (both text and audio file) with a partner, team member, friend. You can share it through email, Slack, etc. Do you have further questions? Email us at support@openphone.co , call / text 1 855 746 6304 or click on the chat bubble on the bottom right corner of this page.